Pakistan has always been famous for its love for sports, whether its cricket, hockey, tennis or Golf our passion for sports has always been at its peak. Besides these well known sports activities there has been an emerging sports event which started as a hobby and now has become one of the best sports event of Pakistan known by the name of “HUB RALLY CROSS”. 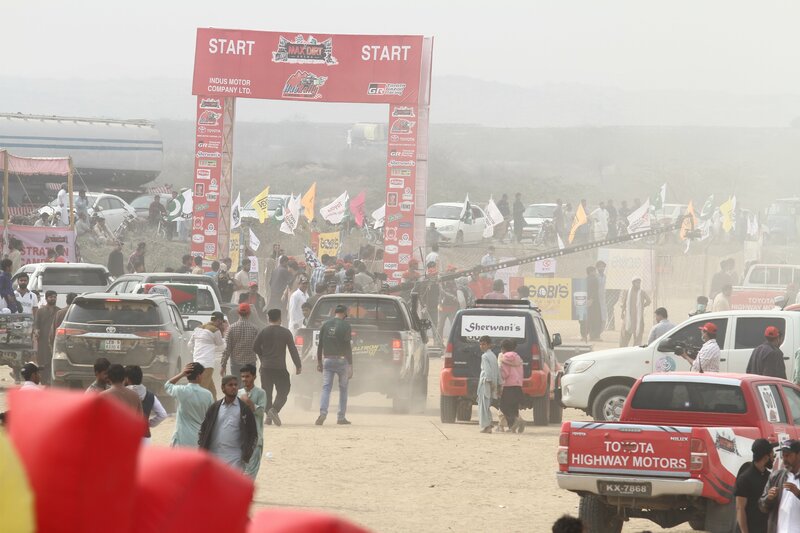 Hub Rally Cross is a Motor racing event which is organized every year by the TOYOTA HIGHWAY MOTORS along with the Sherwani Group at the location Of MAX DIRT ARENA in HUB Baluchistan only 45km away from Karachi right opposite to Sherwani Farms. This is Private racing track owned by Mr. Shujaat Sherwani CEO of TOYOTA HIGHWAY MOTORS who has been a well known name in the automobile industry for the past 20 years. The Track is surrounded by the beautiful scenery of Hub Mountain Range covering the approx area of 11km. 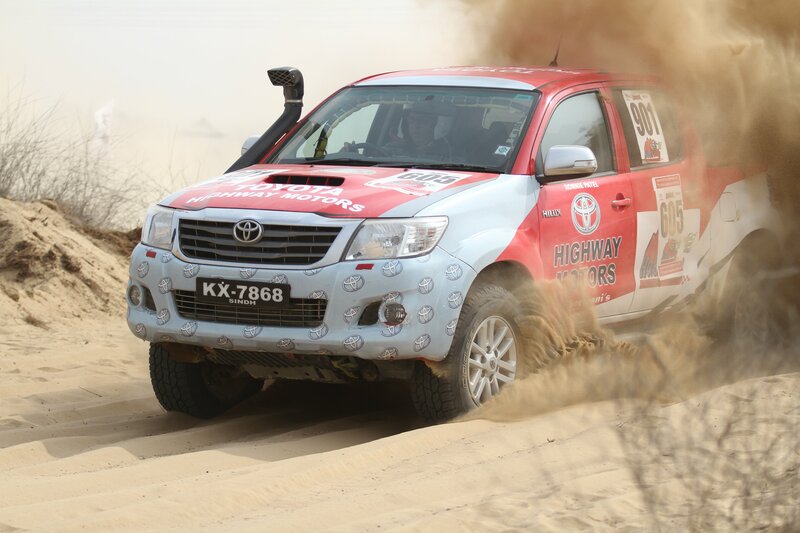 The track consists of two different categories of racing tracks; one for the amateurs by the name of” FAST FUN FEST” covering the area of 1.5km to enjoy the test drive of 4×4 Vehicles and other for skilled racers covering the area of 11km for the main racing Event. It is the shortest yet most difficult 4×4 racing track brilliantly organized to provide the racer with the extreme thrill and excitement of challenging and time bound racing journey. The Chief Organizer Mr. Shujaat Sherwani who himself is a big fan and supporter of Racing, he Wanted to provide a proper platform to the motor sports lovers so that they can nourish their racing skills in a safe and well organized environment, so to make his dream come true he started this event by the name of HUB RALLY CROSS in 2014 and since then it has been organized every year. Growing year by year in crowd, racers, sponsors and media it has become the most liked awaited and glamorous event of the year. The major attraction for the spectators is that the whole race is visible to them and it ends in a day. It is a family event with Food Stalls, Music, Kids Play Section and Test Drive Activity area which makes it a healthy holiday spot not only for Karachi but also for Interior Sind and Baluchistan People. Along with the male racing category there is also the female racing category to promote women empowerment. 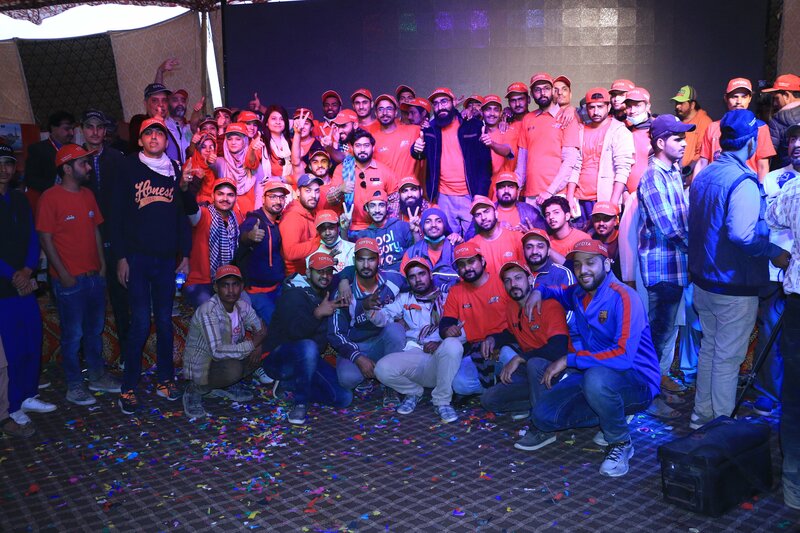 In the 6th HUB RALLY CROSS 2019 over 7000 spectators were spotted along with the huge participation of Media such as GEO, BOL, DUNYA, 24, etc and many famous celebs such as IRON BOTHERHOOD were also spotted. 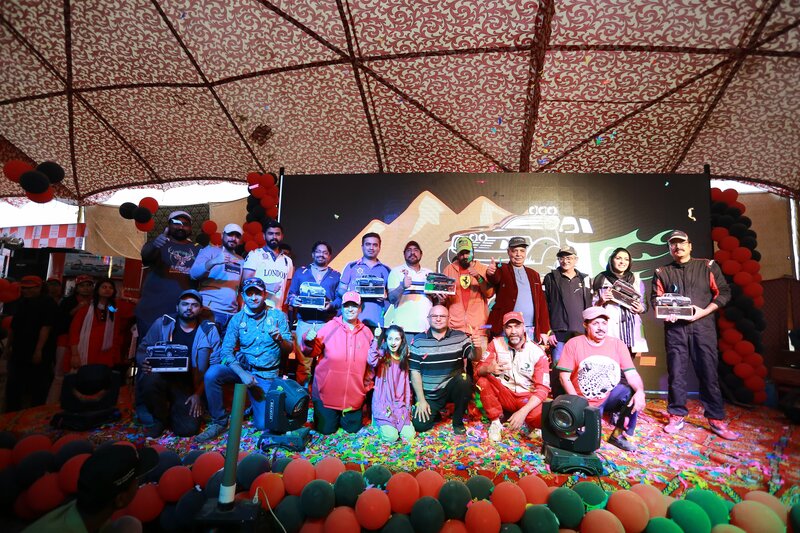 The Event Started with the Stock Category race which was won by Mr. Mansoor Ali (Category A), Mr. Ronnie Patel (Category B) and Mr. Beburg Baloch (Category C), Form Female Category the emerging talent Ms. Salma Khan won the title, From Prepared the race was won by Mr. Asif Imam (Category A), Mr. Amir Magsi (Category B), Mr. Shiraz Qureshi (Category C). 6th Hub Rally cross 2019 was sponsored by TOYOTA, Meezan Bank, Nexen Tyre, Dalda, Alpha Tea, Pakola, Pak Wheels, Geo Super and many others, This is a great platform for automobile product, parts manufacturers and energy drink manufacturers to market their product with the direct audience, We hope to reach more people with the help of our gracious motor sports loving sponsors to promote such events and make Pakistan Proud.